A rich balm that enhances lip contours and gives lips a plumped look while promoting a beautifully lustrous, smooth texture. -Contains water-resistant Super Fix Formula to give lips exceptionally lasting treatment benefits and help prevent lipstick from smudging. -Developed with Shiseido-exclusive Anti-Photowrinkle System. -Formulated with Marine Collagen, an exceptional natural humectant. 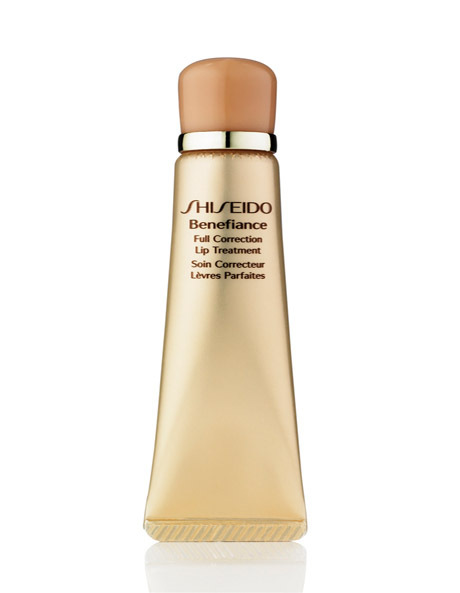 -Apply to the lips and around the lip contour directly or use fingertips. -Use under lipstick or alone.